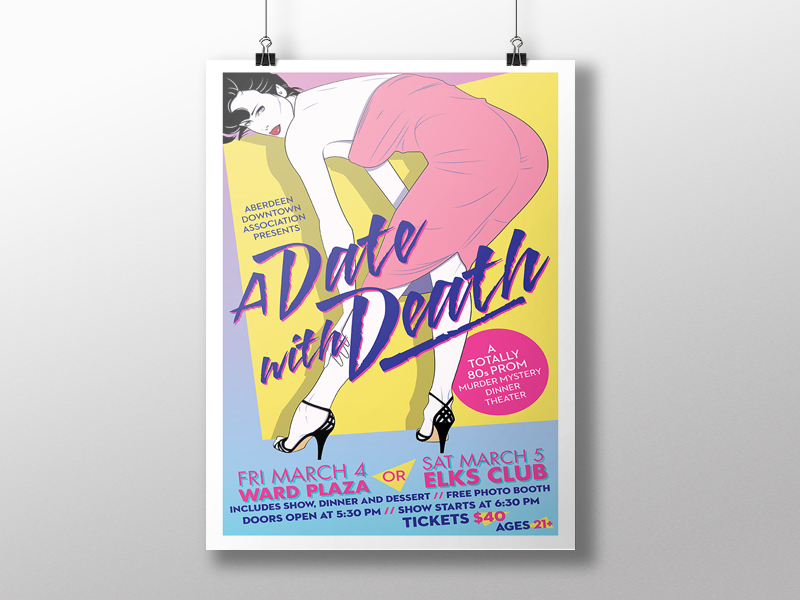 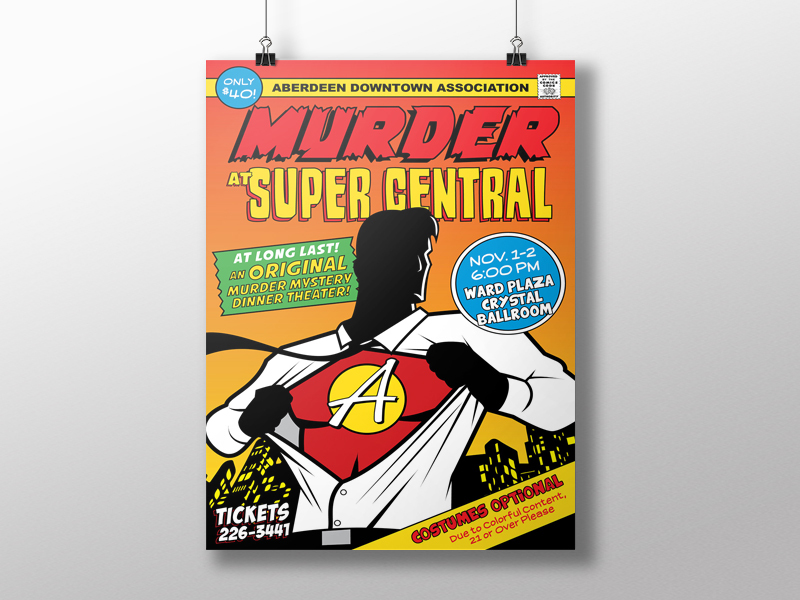 ADA Murder Mystery | Poster Design | McQuillen Creative Group, Inc.
Every year, the Aberdeen Downtown Association presents an original Murder Mystery Dinner Theater. 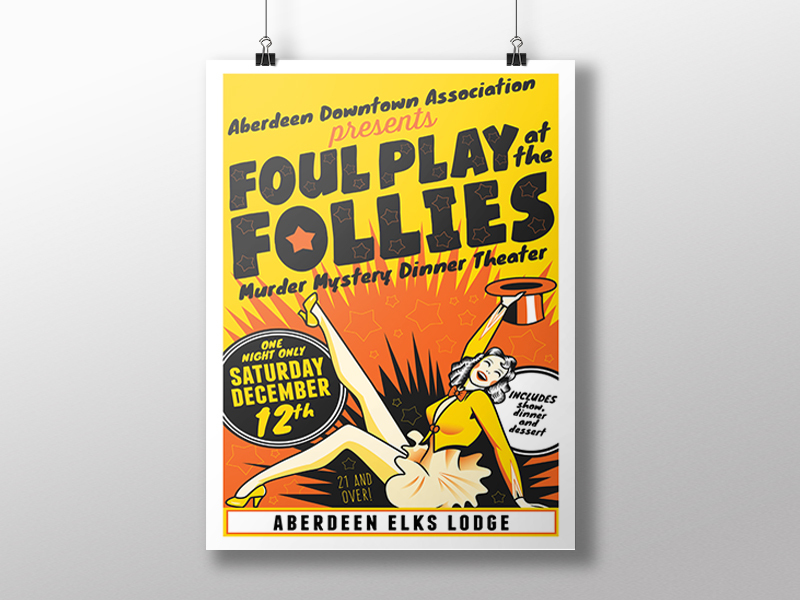 Since the theme of plays differ each year, we get to highlight the themes through our poster designs, allowing us to explore new styles of illustration. 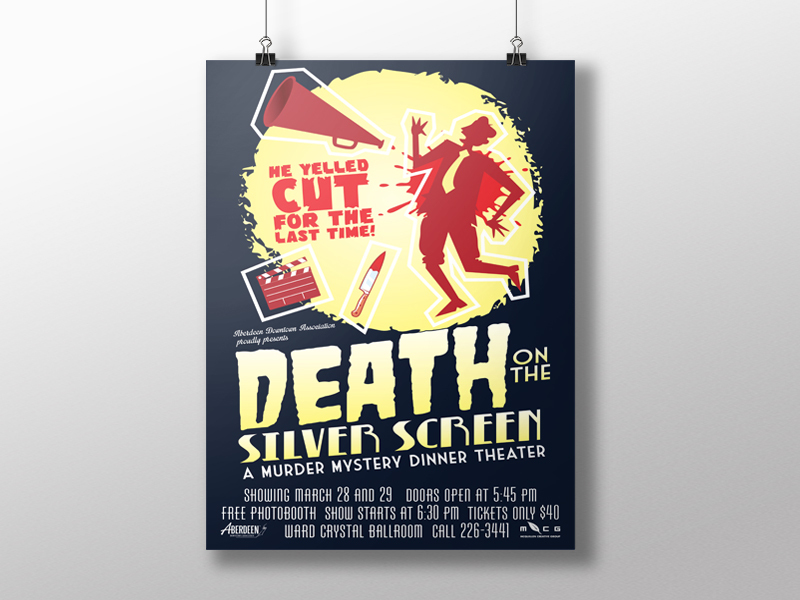 The end result is always fun and exciting!